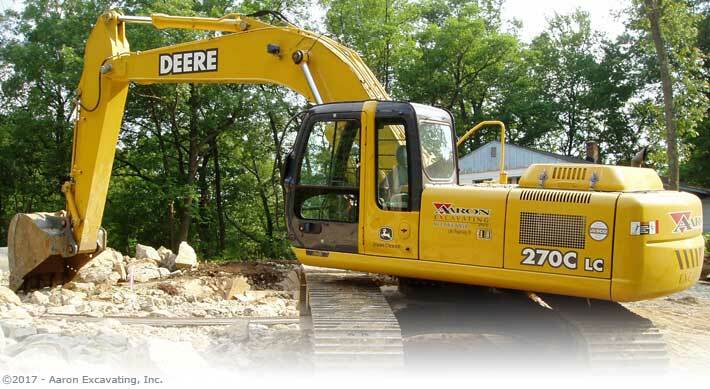 Excellence in excavating services in North New Jersey. Aaron Excavating has been handling an ever increasing variety of excavating services including residential and commercial jobs of all sizes. The difference we strive toward is that we will handle even the largest of jobs with the same personal service you'd associate with a residential and simple job. Similarly we give your smaller and simpler residential orders the same importance we provide our larger commercial accounts. We know how important our work is and we know that whether we are working at a person's residence, office, workplace or shopping center that we have to uphold our name and commitments.